McClurg Court Center is a two-tower, 45-story, 1,061-unit full-amenity apartment complex at 333 E Ontario St in Streeterville. 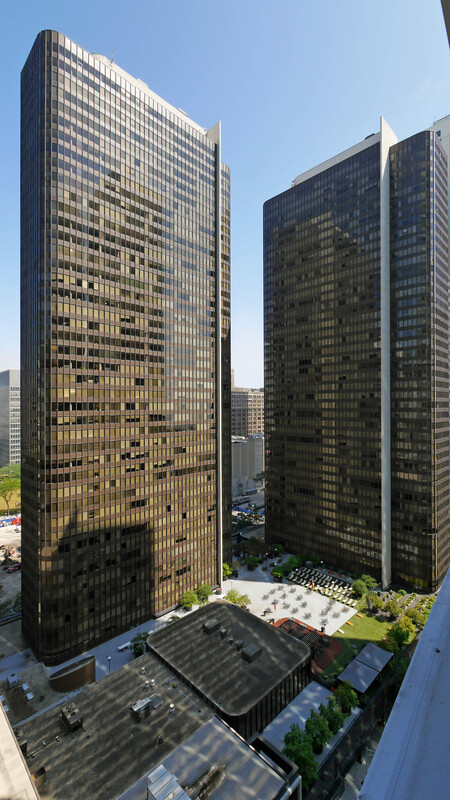 McClurg Court was the first new apartment complex built in Streeterville in decades when it was completed in 1971 and it remains the largest. It originally included a 1,000+ seat movie theater that once drew crowds but has since closed. 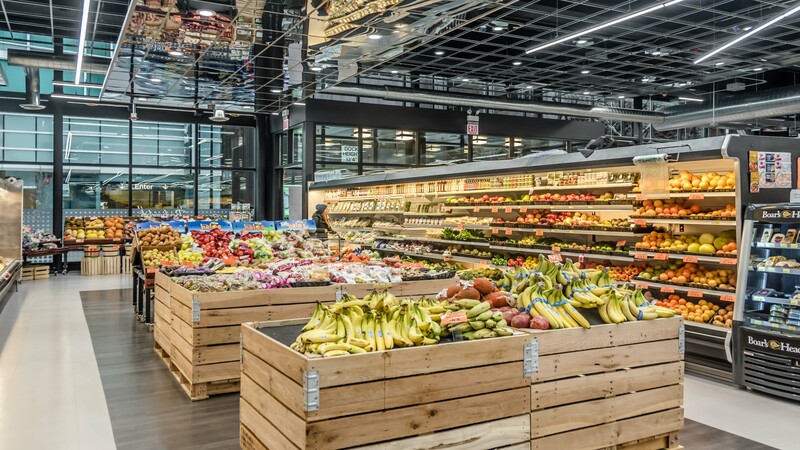 The space has been redeveloped as a Bockwinkel’s grocery. Jerrold Wexler, who may be best known as actress Daryl Hannah’s stepfather, was the developer. Solomon Cordwell Buenz designed the slender Miesian towers. McClurg Court offers 16 different floor plans of studio, convertible, one- and two-bedroom apartments. The apartments are typically larger than you’ll find in newer buildings and have window walls that visually expand the space. 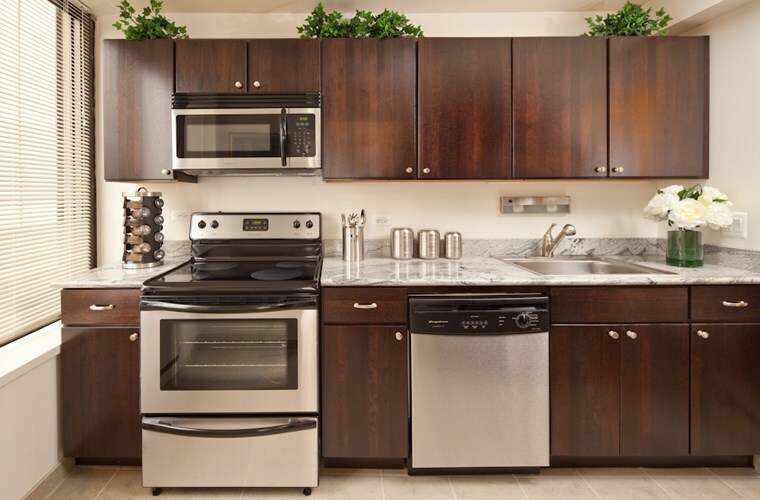 Many of the apartments have been updated with new baths and kitchens with stainless steel appliances, new cabinets, granite countertops and stone tile floors. 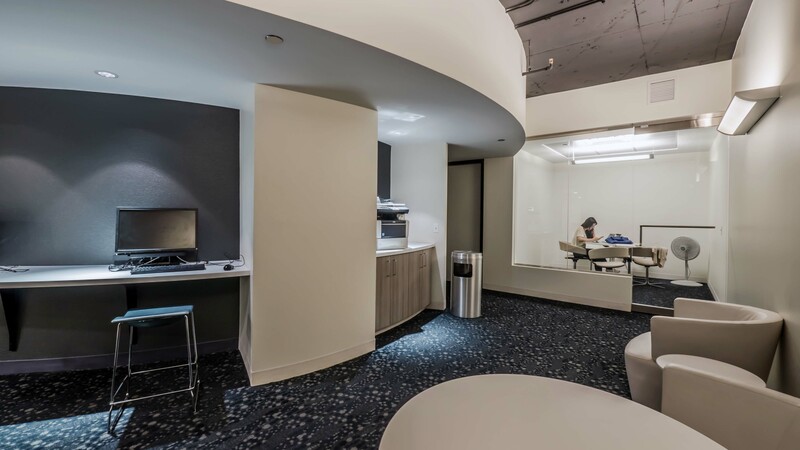 The buildings’ long-and-narrow configuration lends itself to functional floor plans with lots of windows and minimal loss of space to hallways. 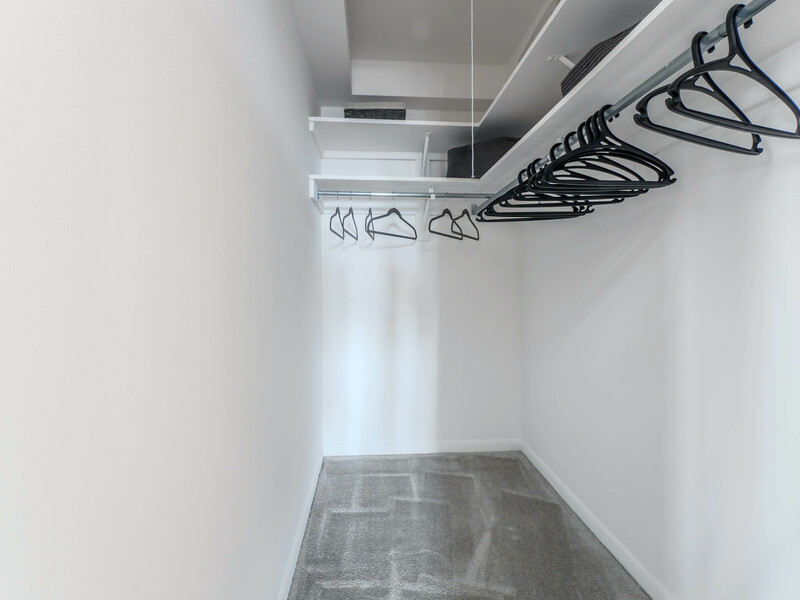 Closet space in most of the floor plans compares very favorably with many of the newer apartment buildings. The units do not have balconies or in-unit washer / dryers. Ceiling heights, lower than today’s new buildings, are typical of the era in which McClurg Court was built. Furnished short-term rentals in the building are available through Churchill Corporate Housing. Views. 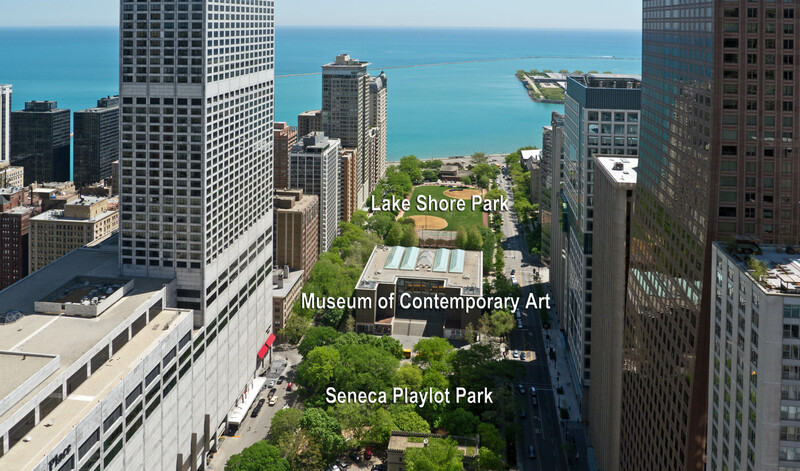 McClurg Court’s website boasts of “spectacular views of downtown, Michigan Avenue, North Shore, and Lake Michigan.” Views from most of the apartments are constrained by neighboring buildings. 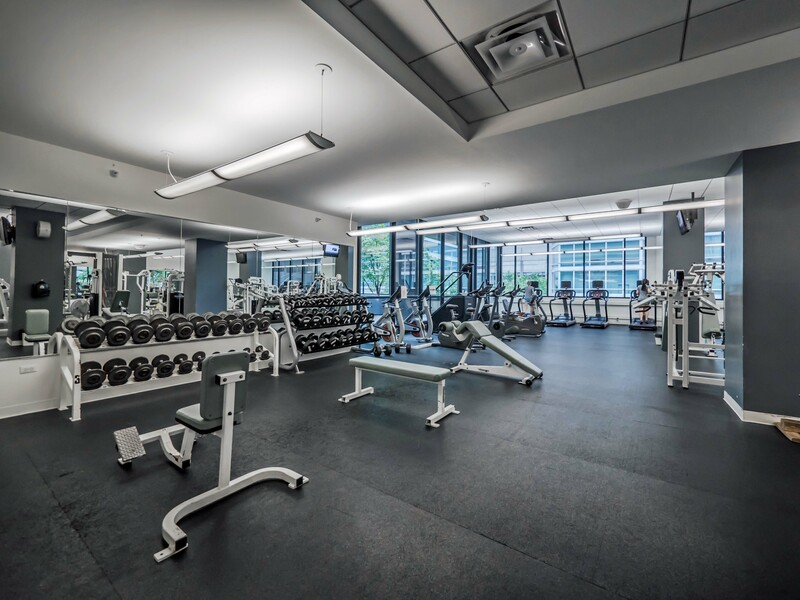 McClurg Court has an extensive amenities suite. A spacious “cyber café” / business center has multiple seating and work areas, a printer / coper, a large screen TV, and computer workstations. 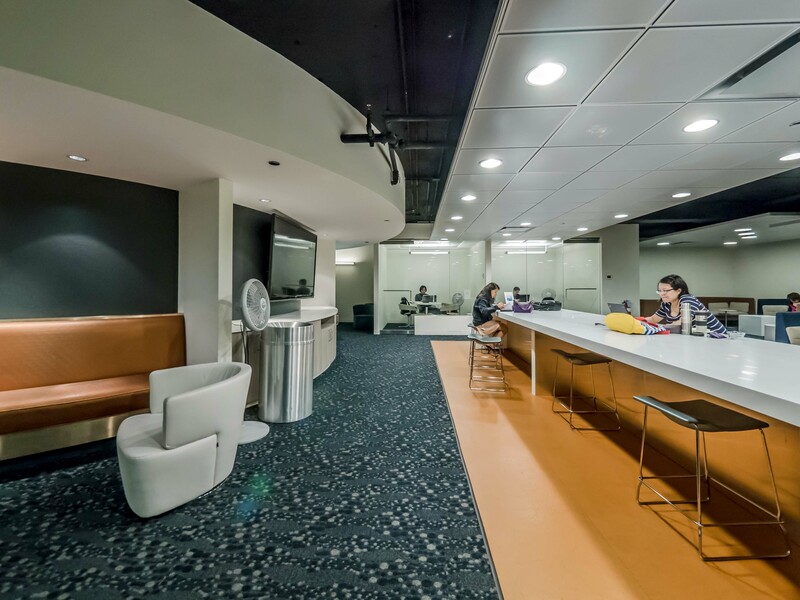 The cyber café has private rooms that can host a small business meeting or a study group or serve as a short-term office. 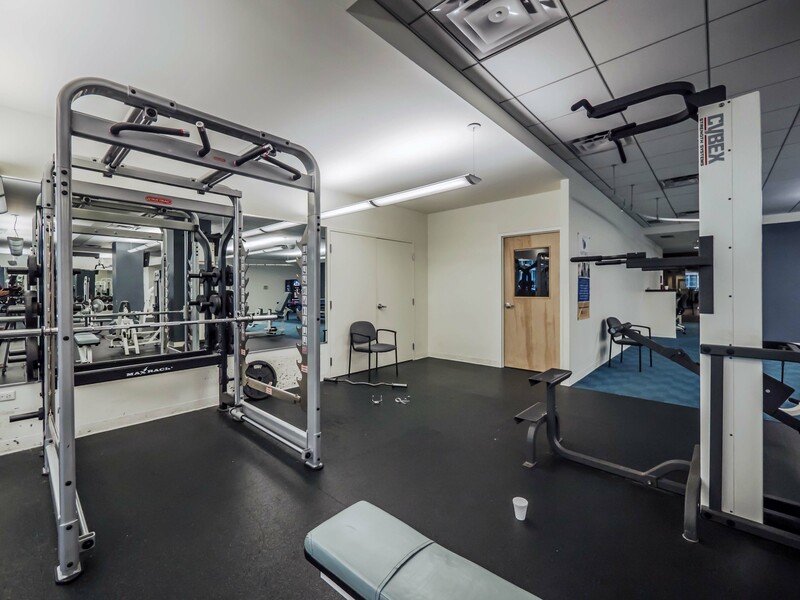 There’s a large, well-equipped fitness center with a variety of cardio and strength-training equipment. 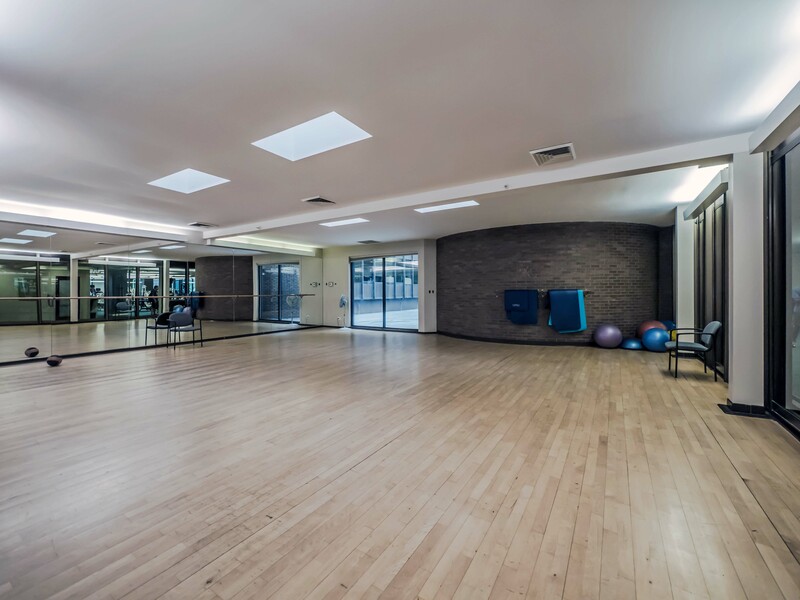 A yoga studio is adjacent to the fitness center. 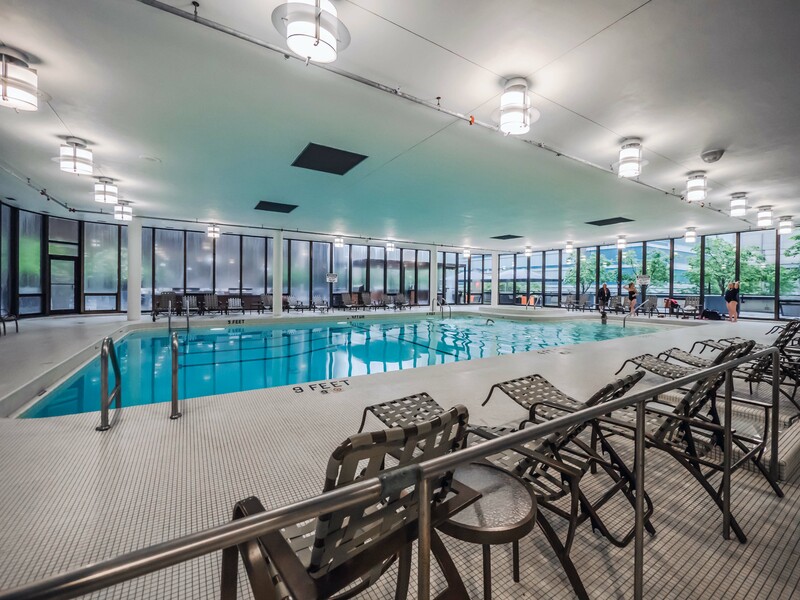 McClurg Court has an indoor pool and whirlpool wrapped by three walls of windows. The pool is adjacent to the sundeck. 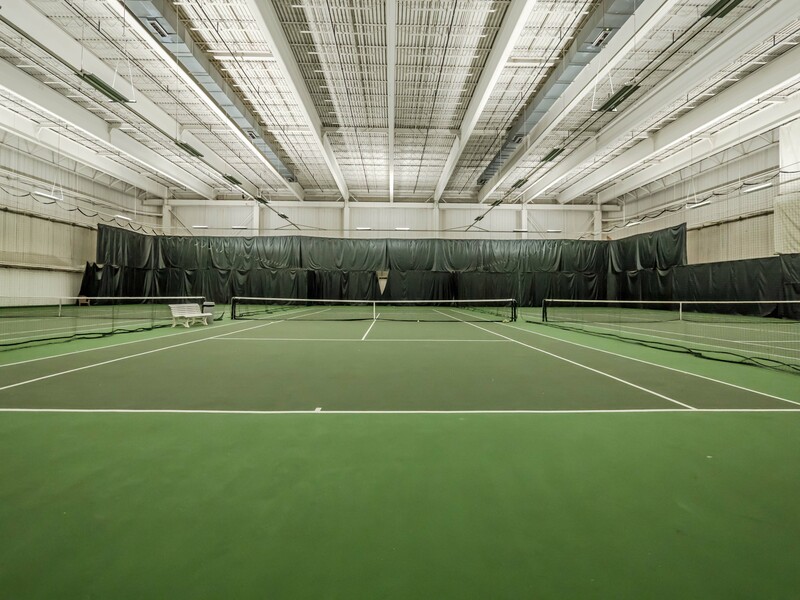 There are three rubberized-surface indoor tennis courts that residents can reserve without charge. A spacious sundeck has a variety of seating areas, tables, trellises, and gas grills. There are several shaded cabanas, but shaded locations are easy to find on the sundeck, given the height of neighboring buildings. 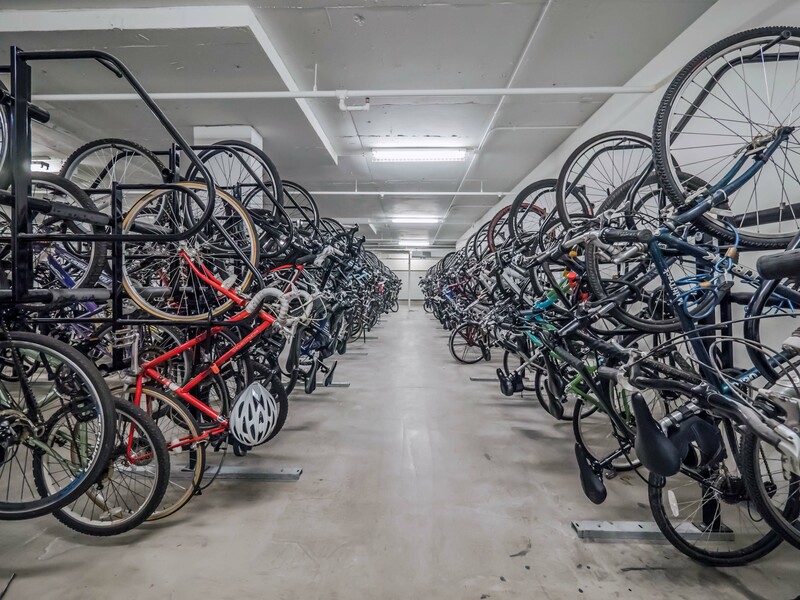 The complex has a very large bike storage room. The laundry rooms include a lounging area. 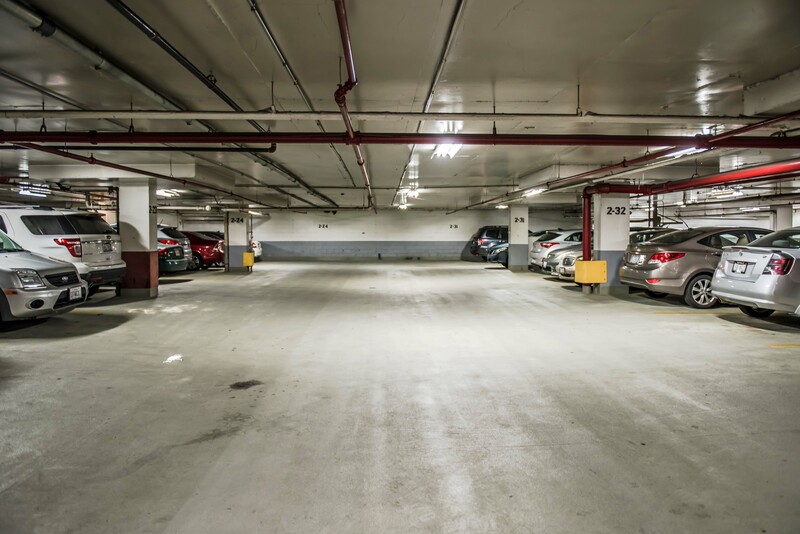 McClurg Court has heated indoor parking with an on-site car wash service. The garage has wide aisles and a minimal number of levels to traverse compared to neighboring parking ramps. 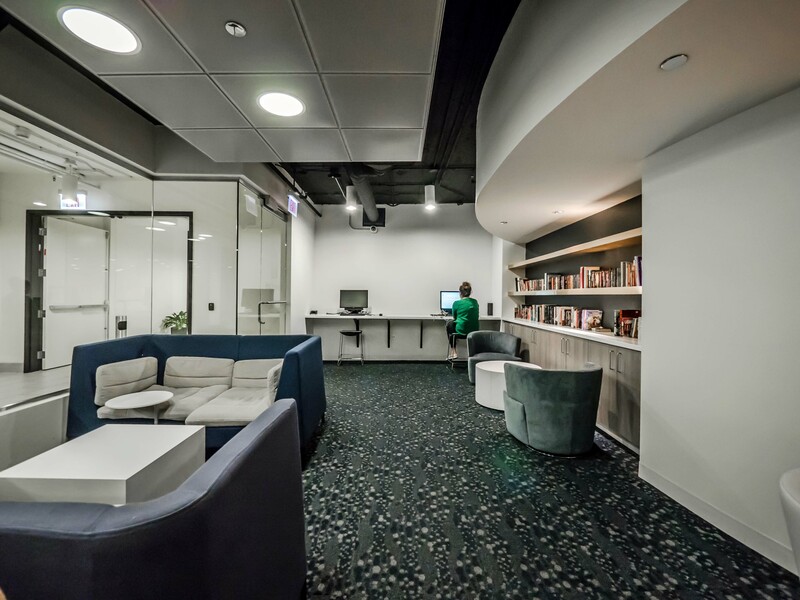 McClurg Court has on-site leasing, management and maintenance staff, and 24/7 door staff in each tower lobby. 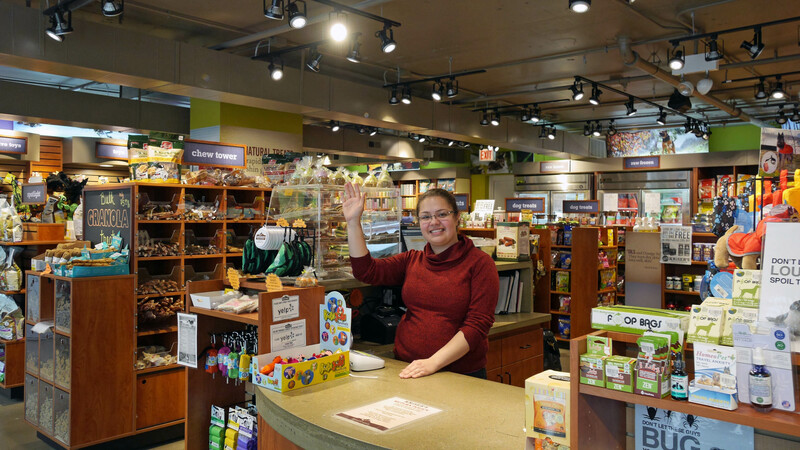 On-site service establishments include Kriser’s Natural Pet, a bank, a 24-hour 7-Eleven convenience store, a dental office, dry cleaners and shoe repair. One of the towers is slated to begin accepting dogs, subject to limits. Cats are OK, subject to limits. 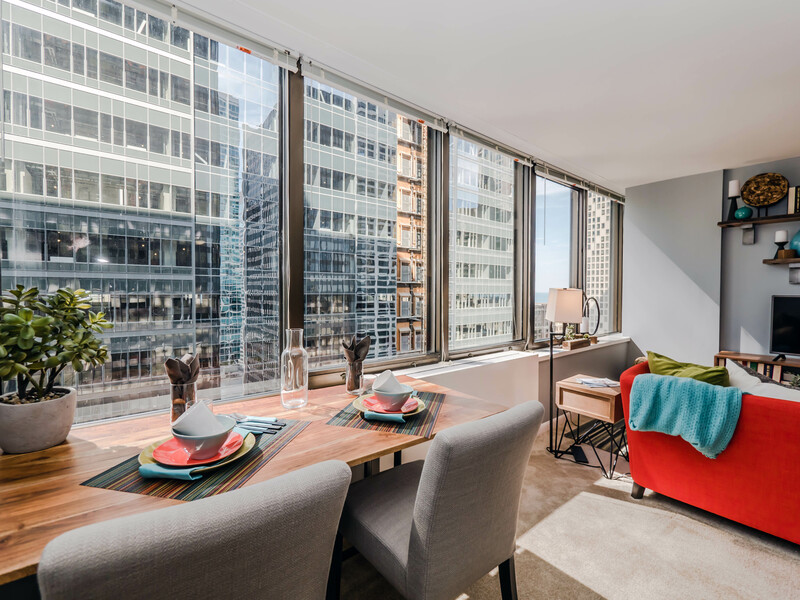 McClurg Court is four short blocks north of the Chicago River, midway between Michigan Avenue and Navy Pier, with convenient access to Lurie Children’s Hospital and Northwestern University’s downtown campus. Shopping. A 7-Eleven convenience store is in the building. A new Bockwinkel’s opened in the building in fall 2015. 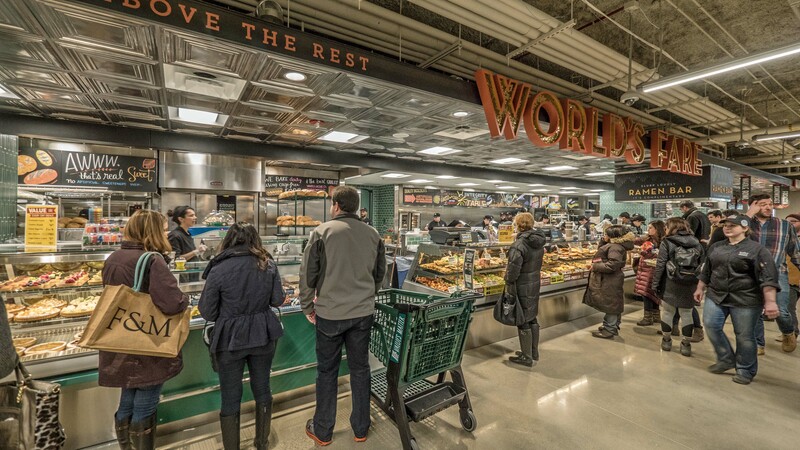 Whole foods recently opened a few blocks southwest of the building. 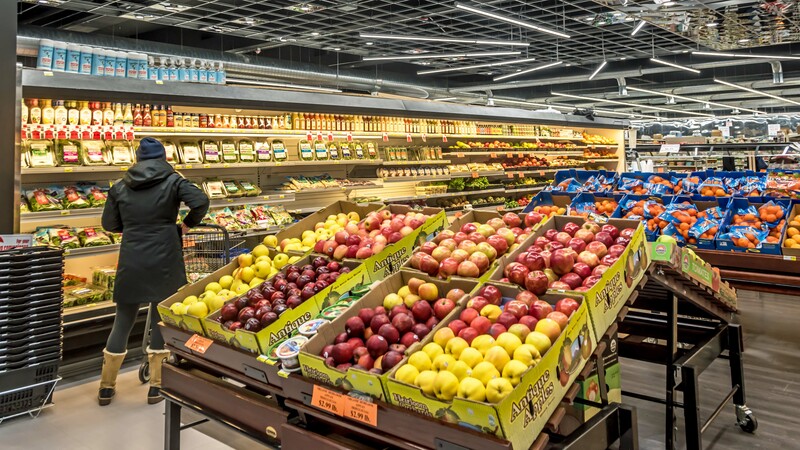 Treasure Island, which bills itself as “America’s most European supermarket,” is two blocks northeast. A Walgreen’s Pharmacy is two blocks south of McClurg Court. 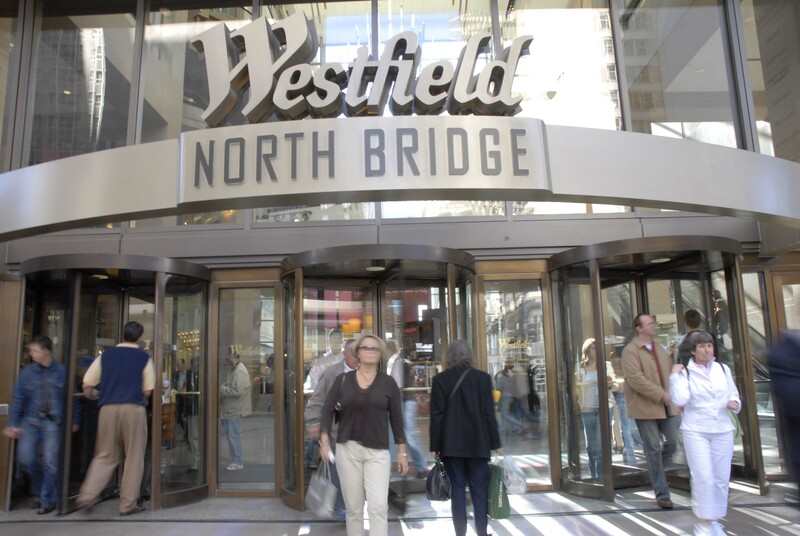 Michigan Avenue’s Magnificent Mile shops and the Shops at North Bridge, anchored by Nordstrom, are a few blocks west of the building. 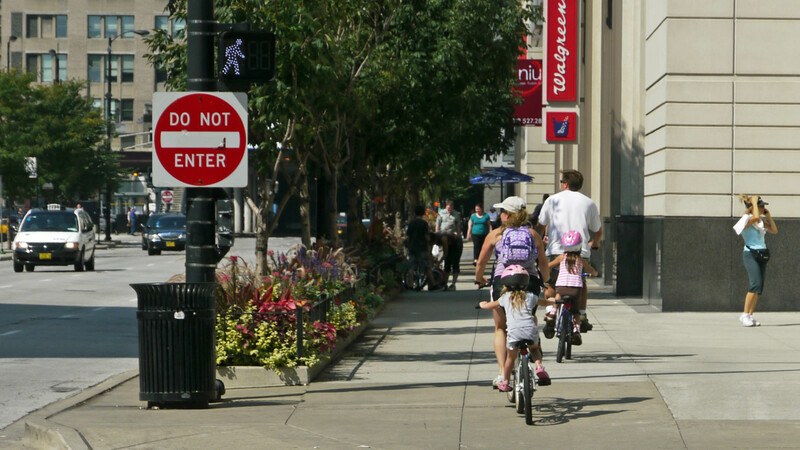 There are literally 100s of dining and nightlife options within a few blocks of McClurg Court. Dollop Coffee is in a building are around the corner. Yolk and D4 Irish Pub are a short block south. 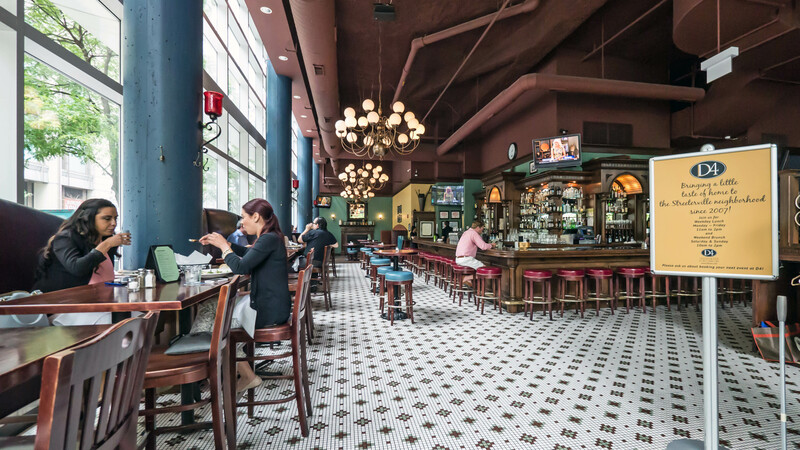 The misleadingly-named Hilton DoubleTree Mag Mile, adjacent to McClurg Court, is home to Markethouse restaurant and an Einstein Bros Bagels outlet. 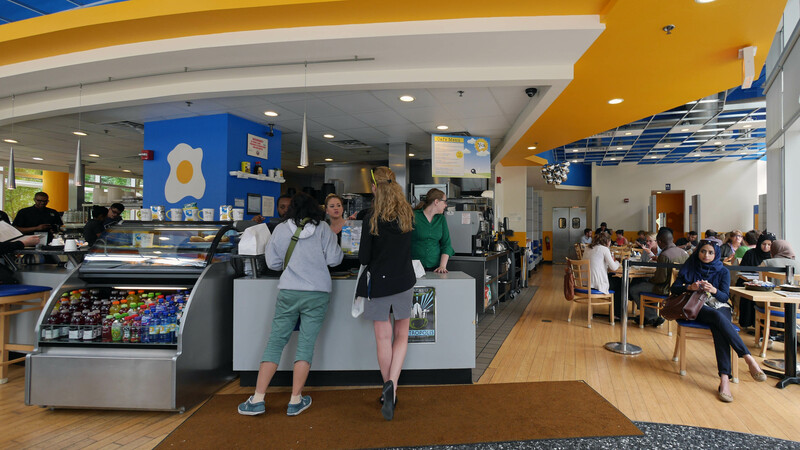 Many of the local restaurants and night spots cater heavily to hotel guests, tourists and office workers, but you won’t have any trouble finding a go-back-to neighborhood favorite. Timothy O’Toole’s Pub, a few steps from McClurg Court, gets mixed reviews but has its regulars and a large selection of beers on tap. If you’re a bowling or movie buff, hit the lanes at Lucky Strike then head downstairs to catch a movie at the 21-screen AMC River East, two short blocks south of McClurg Court. The new Pinstripes, a few blocks from the building, has been drawing crowds. Parks, recreation. McClurg Court has good park access. A block southeast of McClurg Court is a pleasant park that’s actually the roof of a parking garage. 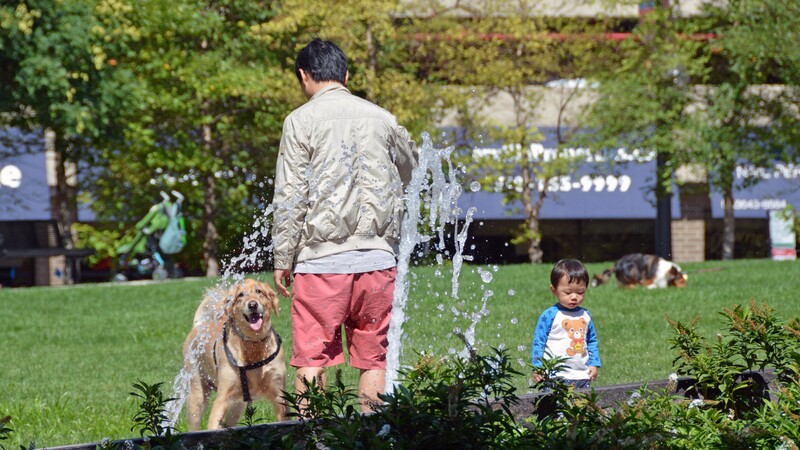 The park has a dog-friendly area. 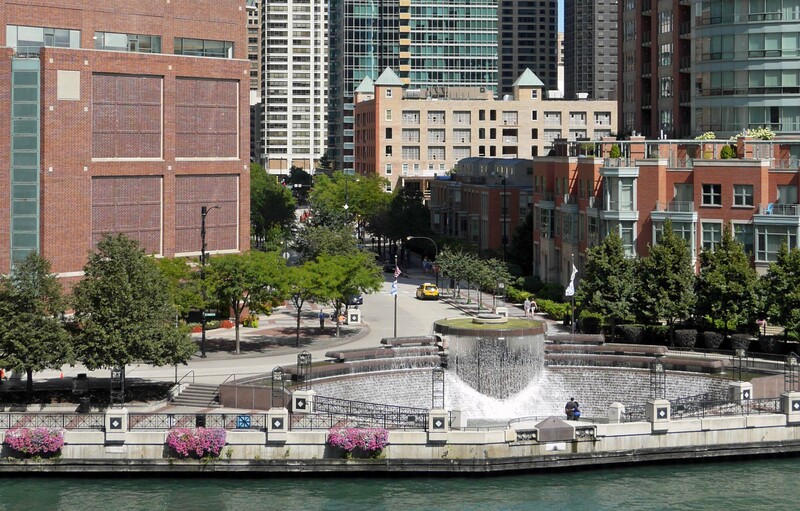 McClurg Court is two blocks from Navy Pier, Jane Addams Memorial Park, Ohio Street Beach and the Lakefront Trail. River Esplanade Park, home to Centennial Fountain, is a few blocks south of the building. Lake Shore Park, which has a running track, softball fields, tennis courts, a playground and a small field house, is four short blocks north. The Museum of Contemporary Art is at the west end of the park and just west of the museum is the delightful, tree-shrouded Seneca Playlot Park. Transportation. 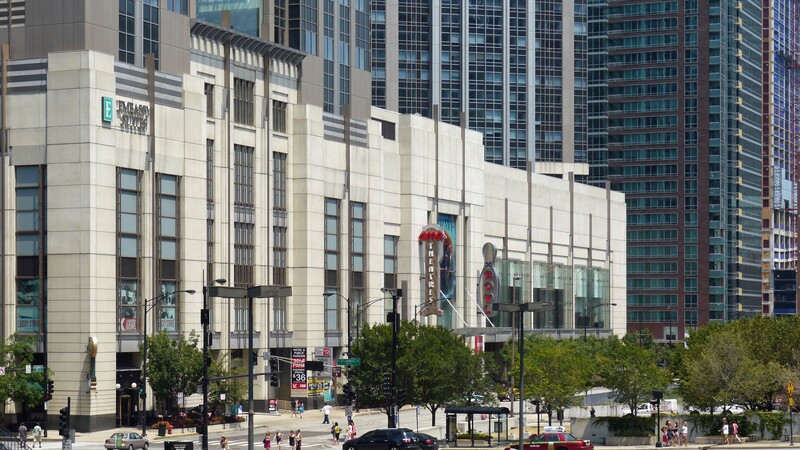 Access to CTA and Metra train lines is inconvenient from McClurg Court. CTA bus service, via multiple routes, is excellent along Michigan Ave, Illinois St (one-way East-bound) and Grand Ave (one-way West-bound). 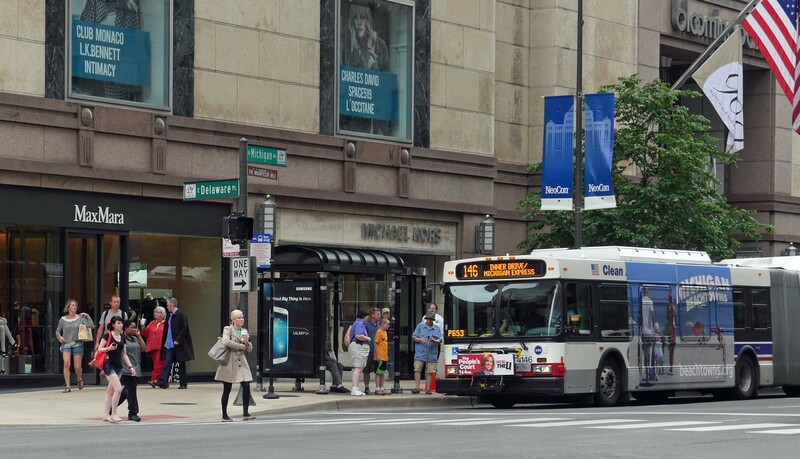 Many residents of McClurg Court may opt for cabs as their preferred mode of public transit, and cabs are always plentiful in the area. Zipcar has an on-site location and Enterprise CarShare has locations across the street and around the corner. 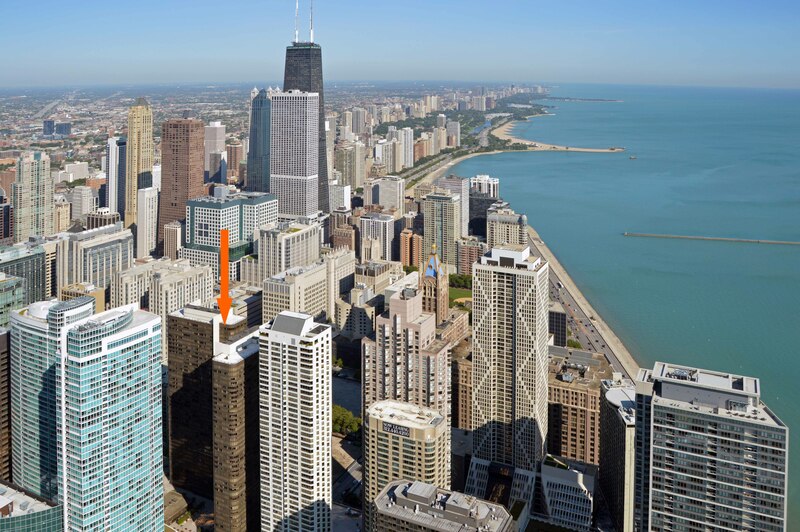 McClurg Court has easy access to and from Lake Shore Drive. Reaching I-90/94 and the rest of the city’s expressway grid can often be time-consuming. Expect near-gridlock conditions when there’s a major event in the neighborhood. Lower Wacker Drive can be a major time-saver, depending on your destination. If you’ve lived at or visited McClurg Court, and are not a real estate agent, add your thoughts in a comment. Comments are moderated, and commercial messages are not allowed. Note: McClurg Court is a YoChicago advertiser. I am extremely disappointed in McClurg Court Center. The apartment advertises itself as a luxury establishment, however, this could not be further from the truth. The apartments are hopelessly outdated and constructed with low-cost, low quality materials. The cabinetry, kitchen appliances, bathrooms, and carpets are of far lower quality than you will find in comparable buildings. The “renovations” are laughable, as its clear the management cut corners at every opportunity. Furthermore, there are no real common areas or amenities to speak of. 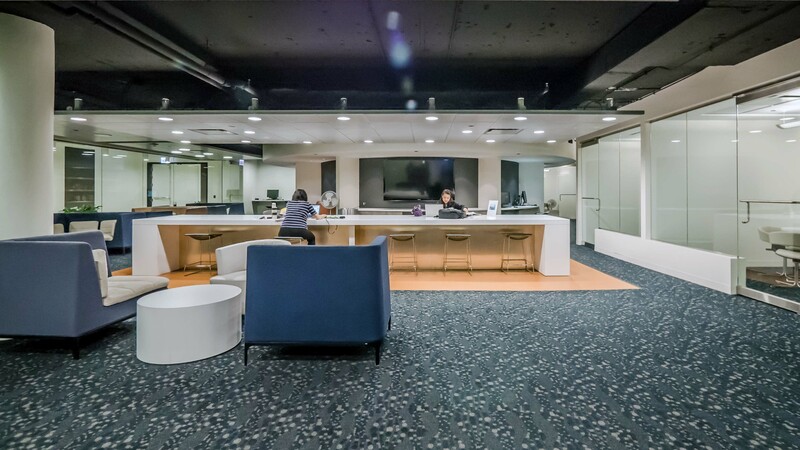 There is a “cyber-café” that is a poor excuse for a resident lounge/business center. The newly renovated laundry facilities have a large adjoining area with a TV and sofas. Apparently this is meant to be some type of resident common area. Unfortunately, the carpet is molding, the ceiling leaks in several areas, and the furniture is incredibly shabby. Paint is peeling in the hallways, the elevators frequently malfunction, and the entire building is in a state of disrepair and decay. I pay about $1,500 for a studio and despite the premium location, this is an outrageous price given the condition of the apartment. 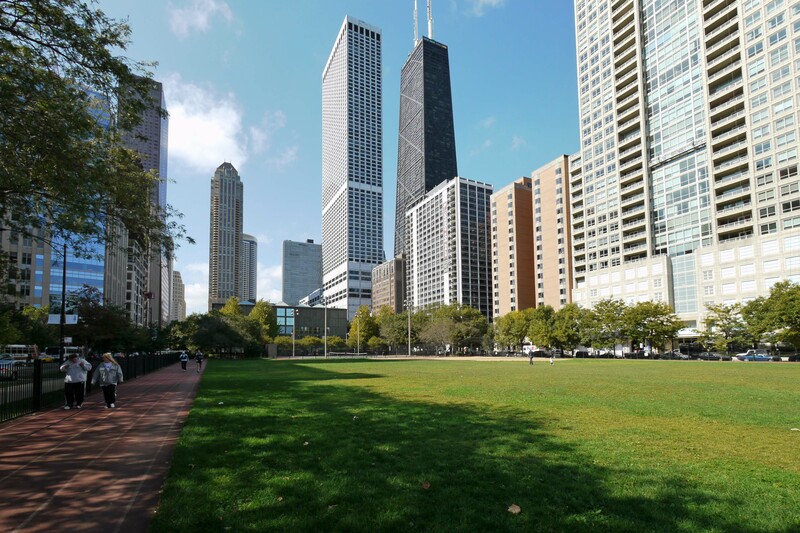 Prospective renters should be aware that there are many better options in the Streeterville area. Also, the sample units the leasing office shows prospective clients are not representative of the majority of units in this building. Amanda, this is sad to read. In its day, this was the place to live. It was really great. The old gym was the place to be then lunch at Cambridge House ;). But if they aren’t keeping it up, time to move. Thank you for your feedback. The Habitat Company has recently taken over managing McClurg Court Center, and we’re grateful to hear our residents’ concerns so we can work to better serve our residents moving forward. We would love to meet with you directly to learn more about your experiences—please feel free to stop by or call me directly at (312) 943-5220. – Stephanie Todd, Community Manager. The Habitat Company is doing even worse in the short time they have been here than the previous bad management. I have a South facing view and have to keep my blinds closed most of the year because the apartment is 80-90 degrees when it is 50 – 60 outside (that is with the blinds closed). I have roasted all weekend and sick with migraines. Last year I was in the hospital 3 times and have heavy medical bills so I asked to downgrade to a less expensive apartment. At first I was told yes, for a very high fee…then received a notice they were no longer allowing mid-lease moves. I am just counting the days until my lease is up. DId I forget to mention that even though I don’t need heat much because of the south facing view – my gas bill is @100 a month for 6 months of the year. I didn’t use it. Also although ATT gives them fee basic cable for residents, they charge us $30 a month for that FREE basic cable. DON’T MOVE HERE – You will be sorry. MORE: The one thing that drew me here was the amenities. MISTAKE…When I would go down for a swim some creepy guard or something would stand there and watch me…30 minutes or more…I don’t think he thought I was going to steal the water….also the gym….there is 1 resident that thinks he owns the place. He will stand with his arms folded showing his muscles until you feel uncomfortable and leave. Tennis? forget that…you will be harnessed the whole time you are playing by people wanting you to prove you live here. Why? Because they want the court. And once they have you they will raise the rent 30% or more because they know it is a hassle to move. I had a broken knee cap so I had no choice at the time but I caught an error in the renewal letter so they could not raise my rent that much. Judi, we want to thank you for sharing your comments. We regret to hear of your experiences with the previous management company regarding mid-lease moves/renewal offer. The Habitat Company assumed management of McClurg Court Center in January 2015. 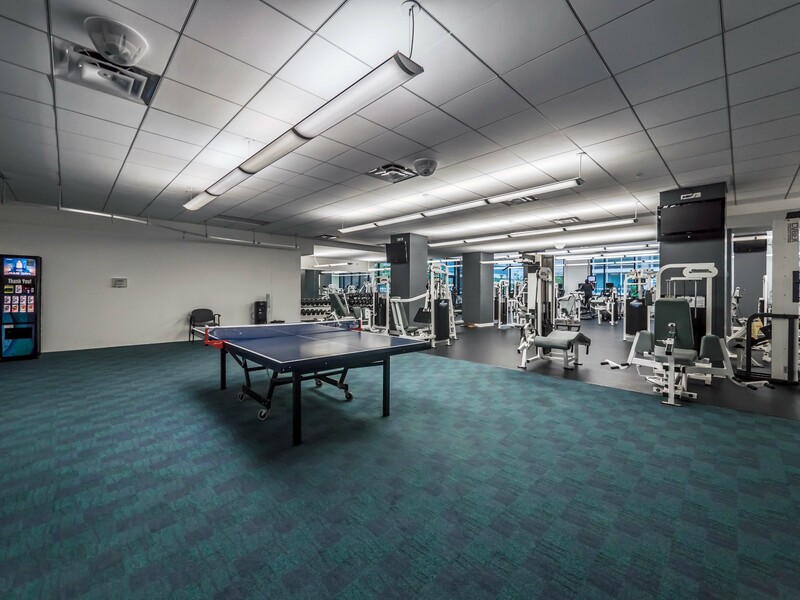 Chicago city ordinance dictates when heat and air conditioning must be provided in the buildings that have a 2-pipe heating/cooling system like McClurg Court, and we understand it can be challenging when the weather gets unseasonably warm or cold. We would love the opportunity to speak with you one-on-one so we can understand what steps can be taken to guarantee your satisfaction and keep you as a resident. Our team is committed to providing the best customer experience for you and all our residents.